Mat meg: Autumn Powerhug // Fruity Multivitamin Superfood Smoothie! It´s my mission to stave off any signs of illness. Cue a saver any time of year: Superfood supplements! Awesome to add to the morning (noon or evening) smoothie, provide a natural kick of energy and are tasty good. Also brilliant to imagine drinking in a hammock upon a tropical island. 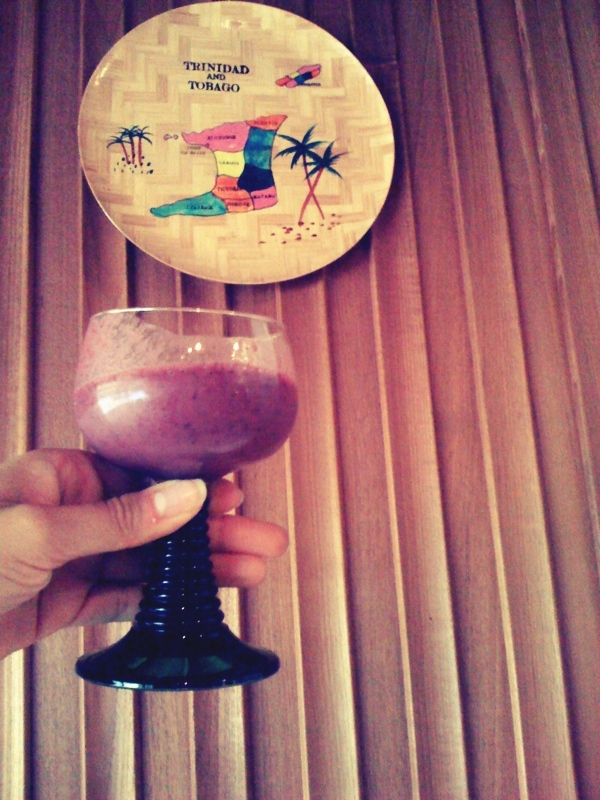 Today in the regal breakfast goblet we have: blueberries, blackberries, orange, a hunk of ginger, banana and a measure of organic multi greens. To good health! This entry was posted in 5 minutes, health, inspiration, lifestyle, nutrition and tagged antioxidants, autumn, greens, health, smoothie, superfoods, tropical. Bookmark the permalink.